St John’s Hand in Hand – supporting older people in the Winchester community through friendship, support and signposting services. A vibrant, caring community of older people living life their way. We are one of the country’s oldest charities with a long history of supporting people of limited means, and strong vision for the future. 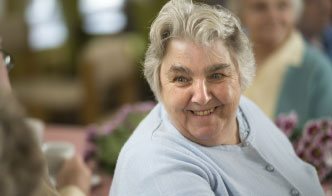 Our residents are at the heart of all that we do and believe in; maintaining and enabling independence, enriching lives. As a registered charity, we are proud of the care and support we provide to around 150 older people who choose to make St John’s their home. We are a charity whose mission is to provide an inspirational community where older people are empowered and enabled to live full and rich lives through quality care and support, housing and friendship.